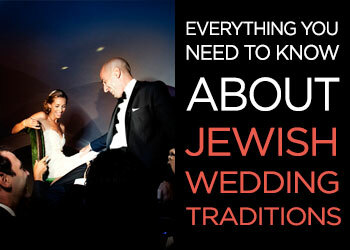 Until recently, a Jewish person marrying a non Jew would have been seen as marrying ‘out’. But it’s 2017, and, fortunately, new attitudes to mixed marriages have begun to pervade past messages. Now, rather than the Jewish partner marrying ‘out’, the non-Jewish partner often feels like they have married ‘in’. 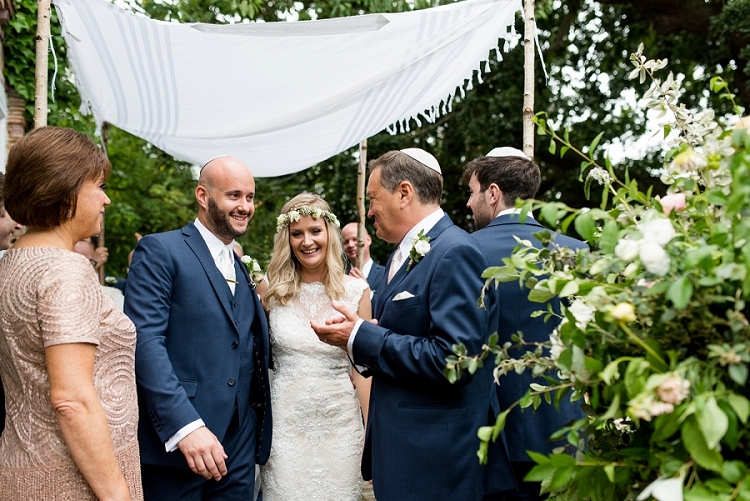 If this applies to you, and you’re not sure what to expect from joining your new Jewish family, we’ve written a handy guide on how to handle the transition to honorary Jew. Reactions will be widely varied and are likely to rely on a number of factors, such as generational differences, levels of observance and so on. While it is possible that you may encounter resistance from some relatives, it’s also likely that you will simply be treated with curiosity, and indifference if you’re not the first non-Jewish partner in the family, maybe even a few ill-judged circumcision jokes (start practicing your best nervous laugh). The most important thing is to speak to your partner about what to expect from different family members, and to approach the most supportive and liberal family members first, so that they can support you in meeting the others. You may spend your first few Friday night dinners or Jewish holidays trying to wrap your head around why everyone is arguing all the time, particularly if they’re speaking Hebrew! We’re a very direct, very animated bunch — sometimes what sounds like the row to end all rows is barely so much as a squabble, just a lively disagreement that will be forgotten in all of thirty seconds, if that, so try not to stress unless plates are broken and people are crying. Kidding — that probably won’t happen… probably. Anna blinked widely at me a couple of times. “I’ve no idea,” she admitted. Anna is a smart woman – but she was so overwhelmed by hearing the word “should” day and night, so inundated with everybody else’s two cents that she hadn’t even paused to consider what kind of celebration she and her partner might actually want to celebrate their choice to spend their lives together! 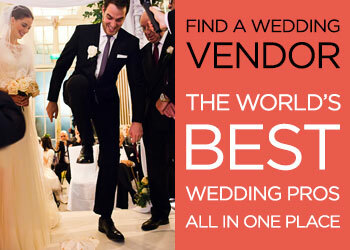 There is no right way to have a wedding. 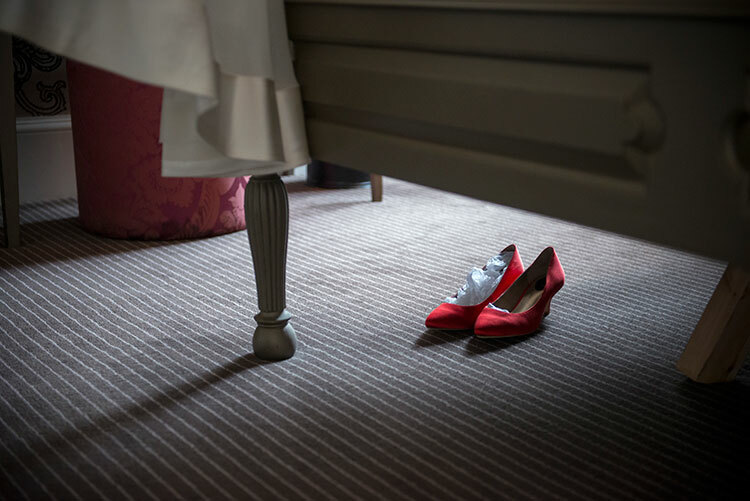 No, you didn’t just fall into another wedding stress dream and conjure up that sentence, you really read it; and here’s how you can start to believe it. 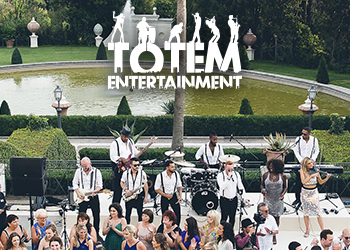 Once you let go of the idea that there’s one set-in-stone type of wedding, and you open yourself up to all of the fabulous, creative opportunities to really showcase the things you love and that make you a couple, there’s no turning back. 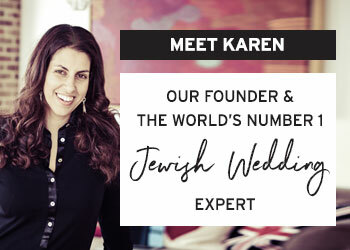 Indulge yourself: rummage through this blog; take a daydreaming cruise through the prettiest pages of Pinterest; play around with colour palettes and chuppah ideas and anything your heart desires. Every time you catch yourself thinking “not for me”, ask yourself “why not?” Why shouldn’t you have the things that make your heart leap? Why should you and your partner deny yourself your ideal day? If the answer is “to please other people”, then read on, because the Church (or, in this case, Synagogue) of Other People is already full of worshippers — you can probably slip out unnoticed — and here’s how. I know, I know, we’re Jewish – guilt is part of our DNA and our schtick. But it doesn’t have to be. It’s as easy as deciding not to feel guilty for putting your happiness first on a day that is totally and completely about you. Before you say anything, I know. It’s not always that easy. Weddings are also about family and tradition. There are people you love who have dreamed of this day going a certain way for a long time. There are traditions that go back millennia and to some, letting go of those traditions, even for a day, might be unthinkable. 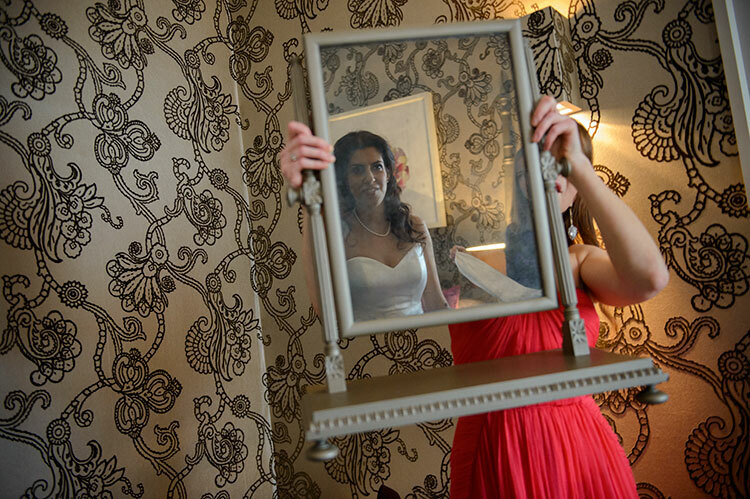 Yes, weddings are about family, too, but they’re about you and your partner first. You cannot sacrifice starting your marriage the way you feel is right for the sake of appeasing others. 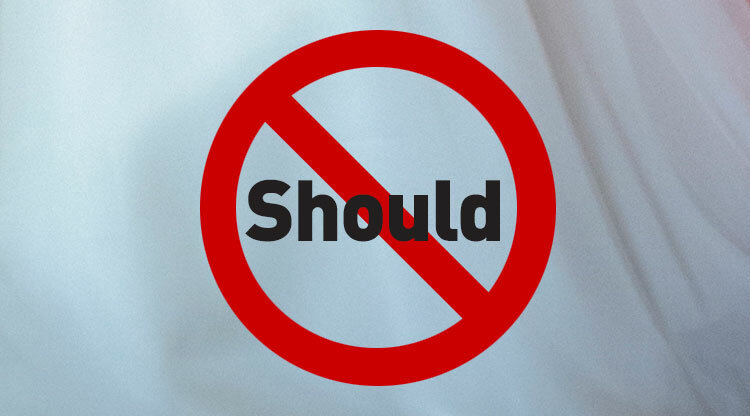 All you need to start the process is permission to not do that anymore. So here it is: permission. I release you. You’re free. Now here’s how to take back the reins. First and foremost, that would be you and your partner. Your opinions matter the most. Then, really have a think about who has the right to chip in. Your parents, possibly – but even then, how much of a say do they get? A lot of this will depend on who’s paying, and, if they’re contributing to your wedding, how you accepted that money. Before my own wedding, my then fiancà© and I both carefully discussed our respective parents’ expectations with them before any contributions changed hands. This isn’t always an easy conversation to have, but it’s an important one to get out of the way right at the beginning. Managing expectations is the best way to avoid conflict and disappointment further down the line. 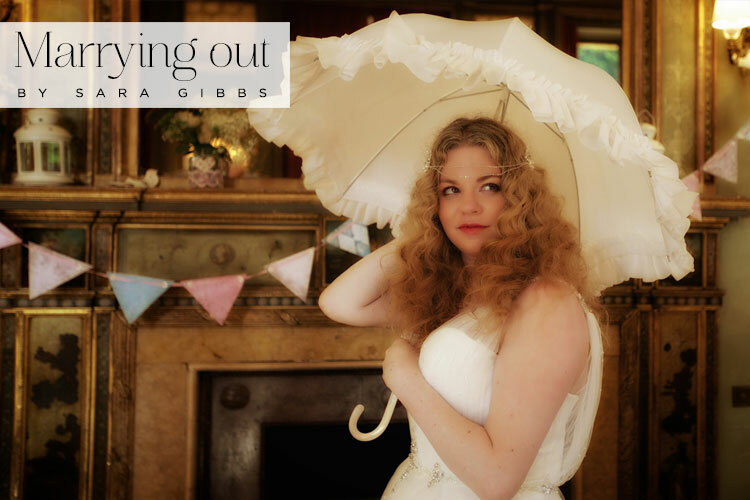 Today’s post is written by the wonderful Sara Gibbs of Darling Lovely Life, the vintage-inspired lifestyle blog (and one of my favourite daily reads).Today she shares her personal story of marrying out. Or as she puts it, “her husband marrying in”. Growing up, I always assumed I would meet a nice Jewish boy (maybe a doctor) and spend the rest of my life kvetching at him. OK, so I didn’t really see myself as such an awful stereotype, but growing up in a Jewish / Israeli household that was relatively observant (in a reform kind of way) and going on to be president of my JSoc at university, it was a natural assumption that my future life partner would be Jewish. So imagine my great surprise when the love of my life showed up when I was just twenty two — and he wasn’t Jewish at all. Not only was he not Jewish, but he’d grown up all over the Middle East (gasp) and not my neck of the woods either (double gasp) because of his dad’s job and while my views on the conflict are hardly controversial or right wing, we actually first got to know each other because of our amusingly divergent views on the obvious. We worked together in my first job. We became adversaries, then friends, then more. The job was a short-term contract and didn’t last, but I took a souvenir home with me and no, it wasn’t the stapler. It didn’t take long for John to embrace Jewish culture. The first time I took him home to meet my parents was Rosh Hashanah, throwing him right in the deep end. After three months together, I went to work in Israel for a month and he visited me out there. He returned home, proudly telling everyone who’d listen how he’d been searched five times by El Al security and even had his wine gift wrapped by the security officer. I flew home and moved in — he was hooked and starting to look and sound more Jewish than I am. Then, just six months into our relationship, on a freezing cold Brighton beach, John proposed. I said yes, and we started planning our interfaith wedding. I was lucky. My family, already in love with John, took no exception to my “marrying out”. They saw it the way John did. I wasn’t marrying out, he was marrying in. Converting seemed irrelevant. I wasn’t religious, so I didn’t expect John to be. Judaism is so many things to so many people and to me it’s culture — it’s home. John was happy to have a Jewish home and I was happy to build it with him. 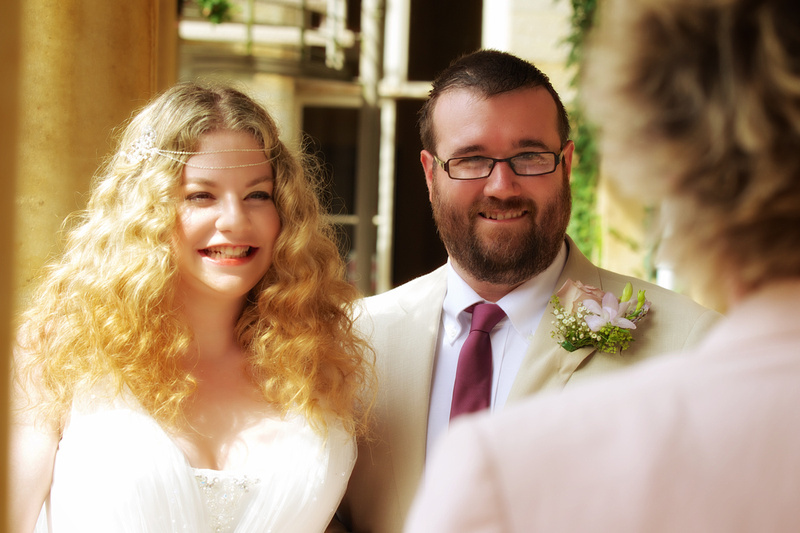 Living in England, interfaith marriages are easy enough. 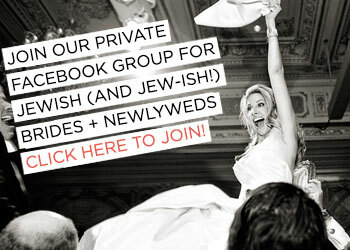 Finding someone to perform a Jewish-style ceremony for an interfaith couple? Not so easy. 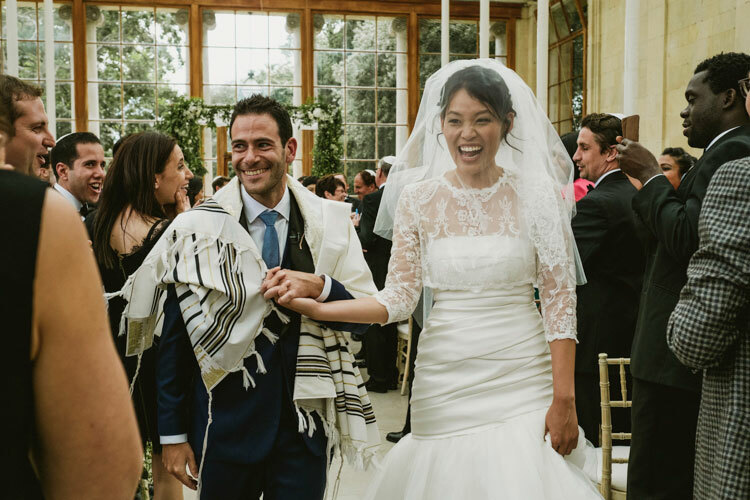 We went through a sparse list of rabbis who would do it, and again with the awful stereotypes but it seems that you pay a dear price for marrying out. Literally. I mean no disrespect when I say that some even had the chutzpah to charge per blessing. We approached a dear friend who had been the Jewish chaplain at my university and was the president of my old shul there. 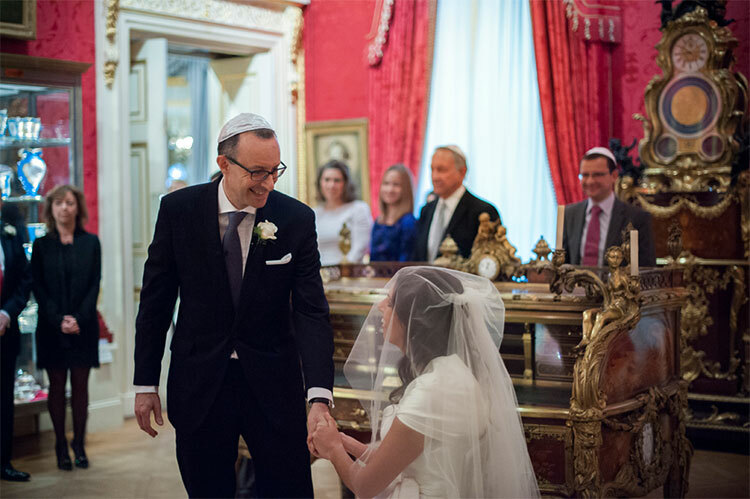 While he isn’t a rabbi, he leads services and it wouldn’t be a legally binding ceremony. He knew both John and I incredibly well and we couldn’t think of anyone more perfect to send us off into married life. As it wasn’t an official, legally binding ceremony (we had a legal ceremony minutes before), we took some liberties that probably had some of the older generations scratching their heads and wondering if they missed something. 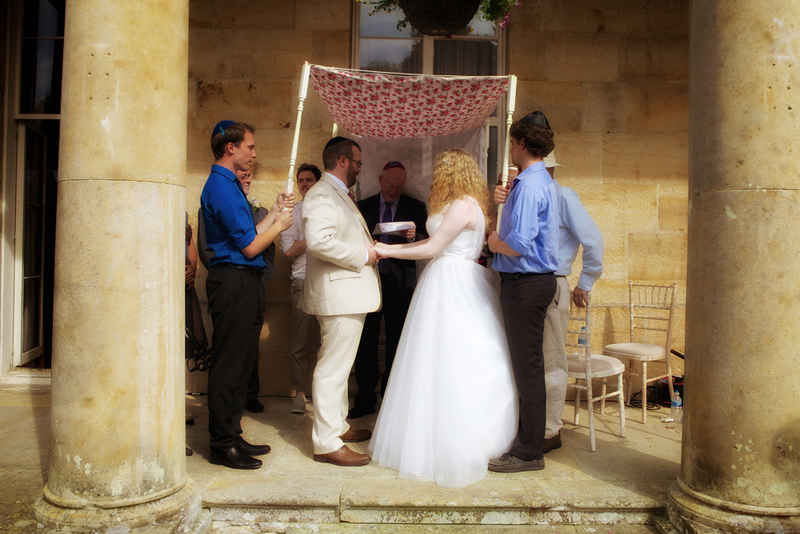 For a start, I made a Cath Kidston-style chuppah out of table legs, lace tablecloth and floral fabric, we wrote and designed our own Ketubah and I didn’t wear my veil but we did use it during the blessings as it had belonged to my great grandmother. At the end of the day, though, we married under a chuppah, I circled my groom seven times (because I loved the symbolism), we said blessings, we drank Palwins (awful as ever) and he smashed the glass. My secular groom was about as Jewish as you can get without actually being Jewish. 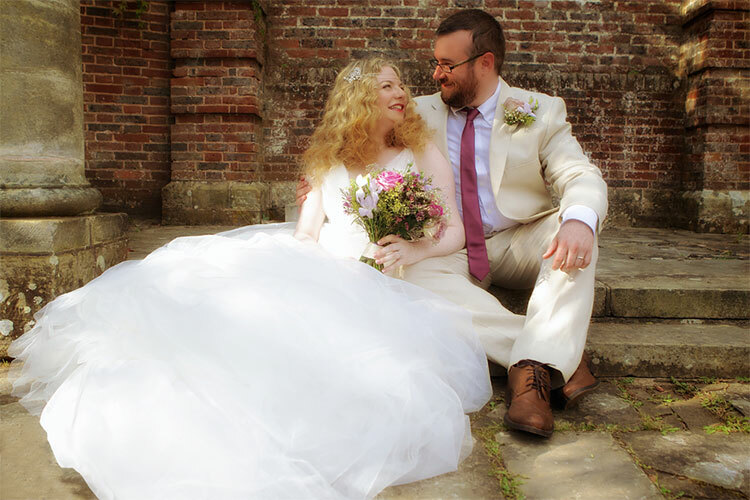 A year and a half on and we are very happily married. We have a Jewish household, we celebrate the holidays, John is insistent on being observant even when I’m being lazy, he’s attempting to learn Hebrew, there is a mezuzah at our door.